When Tuscan bank Monte dei Paschi di Siena appointed the charismatic Alessandro Profumo as its new chairman in late April, the news made headlines around the world. Profumo is the first outsider to sit at the helm of the Italian lender—a distinction made particularly significant by the fact that MPS, founded in 1472, is the oldest bank in the world. Profumo, however, has some impressive records of his own to support his candidacy. 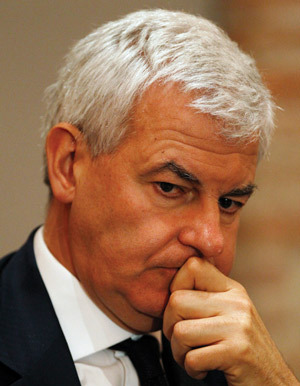 A former bank employee who rapidly climbed to the top of the corporate ladder, Profumo was named CEO of UniCredit in 1997. Over the 13 years that followed, Profumo transformed the small lender into Italy’s, and one of Europe’s, largest banking groups. But his successful run came to a halt in 2010, when Profumo—criticized for presiding over the bank when Libya, under Muammar Gaddafi, built a 7.5% stake in UniCredit—decided to resign. MPS may present exactly the type of challenge Profumo is known to relish. He has made a splash by turning down the chairman’s paycheck for a board member’s salary of €60,000 ($77,500). This may just be an effort to bolster his—and thus the bank’s— reputation, but it speaks well of Profumo, particularly given the tough financial conditions in which MPS sits, and which Profumo is tasked with turning around. MPS has €26 billion in Italian sovereign debt, and is due to refund €1.9 billion in state bailout funds by June 2013. 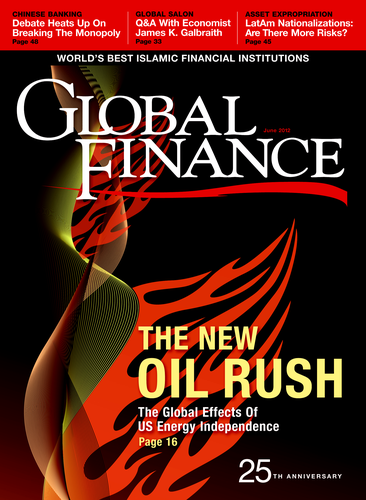 Shortly after Profumo’s appointment, the bank was also hit by an investigation into possible wrongdoings in the 2007 acquisition of Banca Antonveneta, causing its shares to plunge. Plus, the European Banking Authority has demanded that the lender raise €3.2 billion to improve its capital ratio. Even under favorable market conditions that could be hard to achieve. Regardless, Profumo—together with the bank’s new CEO, Fabrizio Viola—is already thinking ahead: “By 2020,” he said, “I want to turn Monte dei Paschi into the best Italian bank.” Investors and shareholders have learned to expect nothing less from him.